The Story Of Dave Brubeck's 'Take Five' Recorded by the legendary Dave Brubeck Quartet, "Take Five" remains the biggest-selling jazz single of all time, and its familiar melody has introduced many listeners to jazz. 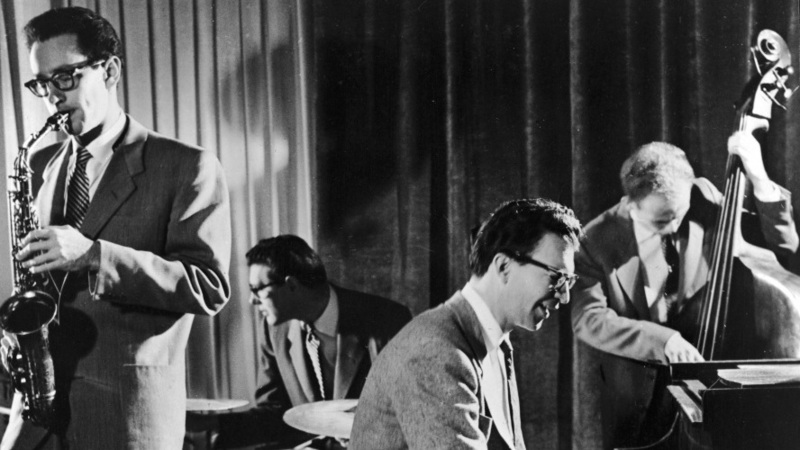 The Dave Brubeck Quartet performs. "I remember him saying, 'We don't need another copy of "Stardust" or "Body and Soul." We've got so many. And it's about time somebody did something like this.'" "So I said, 'Well, we got to have a title. Why don't you want to use it?' And he said, 'Nobody knows what it means.' And I said, 'Paul, you're the only person probably in the country that doesn't know what it means.'"